The symposium’s title responds to a moment in which there is concern, even anxiety, about what it is that we actually share—practices, language, objects, places, memory—in common with those in the communities in which we live, work and play. The key challenge of the symposium was to explore the contribution that work being done within the Arts and Humanities, particularly with regards to forms of representation, can make to address these concerns. The subtitle of the symposium, ‘the vernacular, everyday objects and memory’, specifies well the broad themes that the symposium explored. Three panels of diverse and yet complimentary papers addressed those themes and Dr. Matthew Sweet’s timely keynote address served to tie them together in an engaging treatment of the English-speaking vernacular. In Panel One, Tom Hendry (Birkbeck) addressed contemplating the loss the vernacular in speech through Cormac McCarthy’s novel The Road and its filmic adaptation. Aimee Gasston (Birkbeck) explored different kinds of objects and their animation in the literature of Katherine Mansfield and Virginia Woolf. Elisa Jochum (UCL) also tackled women’s heirlooms and their meaning in film. Of all the panels, the papers in the first were in the end surprisingly complementary providing for a fertile Q&A. Panel Two introduced the themes of cultural production and cultural memory to the symposium. Christopher Gonzalez-Crane’s (Birkbeck) paper gave attention to the publication Charles Lummis’ magazine The Land of Sunshine and its vernacular concern with California and its lifestyle. Following that, Sonya Chenery’s paper guided her audience through the diverse range of objects and practices that enable cultural remembrance. She shared some of her findings from the Evacuee Archive at Reading University. The final panel of the day was composed of papers addressing light bulbs, allotments and digital grammatisation. Grace Halden (Reading) traced the significance of the light bulb through a number of different representational forms which was followed by Dr. Katrin Schreiter’s (King’s College) treatment of the practice of gardening and the place of the allotment in German culture. Dr. Daniel Strutt’s (Goldsmiths) study of affect through a variety of different digital screen contexts rounded off a very strong panel of papers. Dr. Sweet’s keynote was very well received. 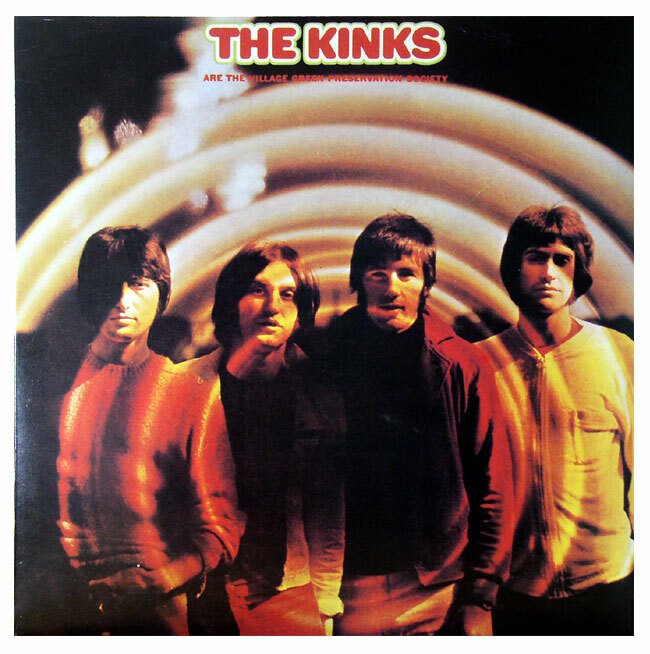 His discussion of ITMA and the lyrics from The Kinks’ song The Village Green Preservation Society, provided a basis from which to explore the significance and development of the twentieth century English vernacular. We would like to thank the Centre for Culture, Media and Creative Practice for their sponsorship of the event and Anthony Shepherd for assisting with administrative and logistical support.